Age spots can be considered unsightly and therefore bothersome. There is now an effective solution: Spotner - an age spot fading innovation. Its unique Appli-penTM allows precise application to fade age spots effectively. Improvements are visible in just a matter of weeks. Spotner Pen is an over-the-counter cosmetic product, which is safe to be used on hands, chest, face, shoulders and any other area that has developed age spots (avoid contact with eyes and mucous membranes). The handy Appli-penTM promises an easy, precise and quick application, in contrast to other products that are only used on large surfaces. Spotner offers a unique solution to reduce the appearance of agespots. Spotner combines whitening, skin renewal and protecting ingredients with a targeted, clean application device that's easy to use and provides direct delivery and gentle exfoliation. Spotner contains a unique combination of alpha-arbutin, gigawhite and sepiwhite. Alpha-arbutin is an extremely sophisticated biosynthetic ingredient that has been shown to work effectively on all skin types. Gigawhite is a plant derived preservative free skin lightener used as an alternative to hyydroquine. It is composed of seven organically grown swiss alpine plants. Sepiwhite acts as an alpha-MSH antagonist and blocks the formation of melanin. These ingredients provide safe and effective preventative of new pigment production. Old age spots are removed by the action of alpha-hydroxy acids that help to increase the renewal rate of the skin: removing the old age spots, and giving a smoother, younger appearance. Alpha-hydroxy acids have been used for centuries for a younger appearance of the skin. Studies have shown that alpha-hydroxy acids are able to reverse the effects of photo aged skin. 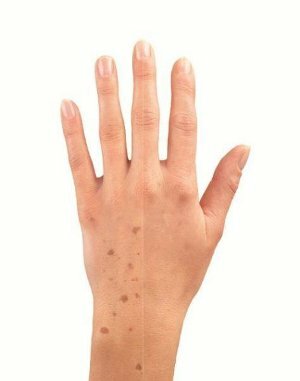 - Spotner Appli-penTM can also be used on other types of unwanted temporary pigmentation including blemishes caused by hormonal changes, such as pregnancy. 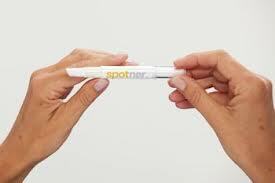 - Spotner has been dermatologically tested.Say Goodbye to Age Spots! Unlike creams and lotions, its precise pen-tip application means you target the treatment exactly where you need it every time. Turn the bottom of the pen until the cream comes out of the applicator tip. This may take 10 or more 'clicks' during first use. Cleanse skin thoroughly before applying Spotner. Apply Spotner twice a day e.g. mornings and evenings, over a period of at least 2-3 weeks or until pigmentation is no longer visible. It is not necessary to apply added pressure during application. Let the cream dry thoroughly before applying other products (such as moisturisers, sunscreen etc.) on the affected skin. The innovative design of Spotner's Appli-penTM allows precise application on age spots and pigmentation. Re-cap the Appli-penTM tightly after each use. For external use only. Do not use on moles. If pigmentation looks abnormal consult your dermatologist. Avoid contact with eyes and mucous membranes. Keep out of reach of children. Discontinue use of the product in the event of irritation. Do not use the product if you are allergic to any of the ingredients.